A very steep, deserted forest road in the Swiss Jura mountains. A very steep, deserted forest road in the Swiss Jura mountains. It’s very close to the better known and also outstanding climb to La Barillette – see here. Starting from La Rippe, the route soon enters the forest and heads up. The entire climb is in Switzerland but it is rarely more than a few metres from the French border. After reaching the top I explored a few little farm roads, but after getting a flat tire I decided to cut the ride short as I had no more spares. 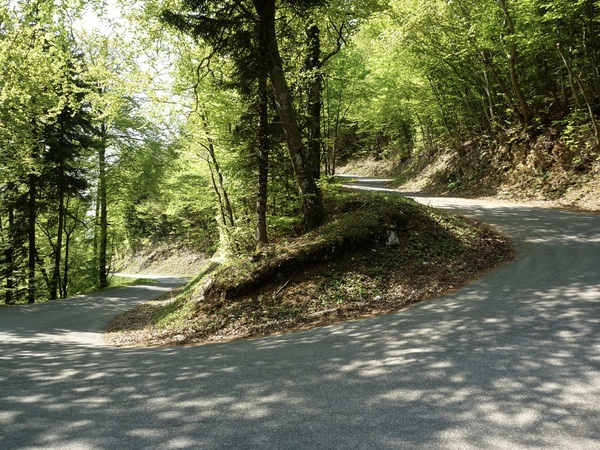 To make a loop, you can take a short gravel path into France to Col de la Vattay, and descend yet another steep, paved forest road. 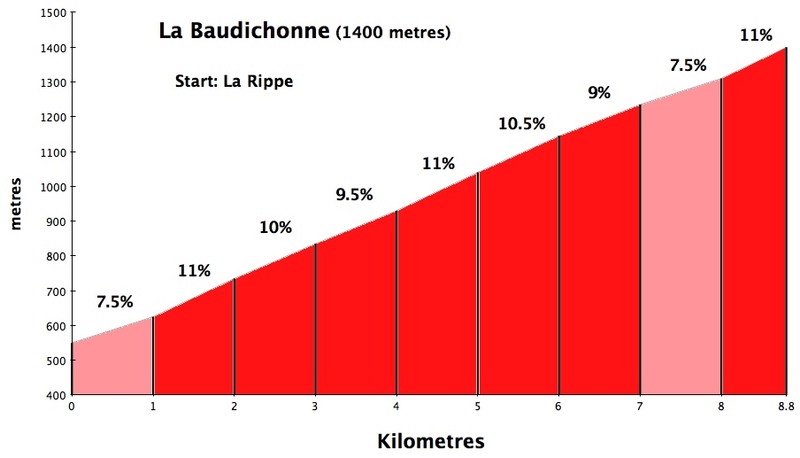 This link has a map showing the climb via Col de la Vattay, and a descent down La Baudichonne. Thanks for posting this – I’m planning my second stint of “altitude training” round Geneve in early June, hence all the information on Jura’s climbs is, obviously, very welcome. Thanks to you again for keeping up a good work in helping us to enjoy cycling uphill. By the way, which way you go for Jura climbs from Geneve? I tried quite a busy road via Fernay-Voltaire to Gex several times – not particularly fun. Any better suggestions to get to Gex, Rippe, Gingins, Biere? Wow, that is a quite a list in a short period, well done. I agree, Emosson in nice weather is about as good as it gets.